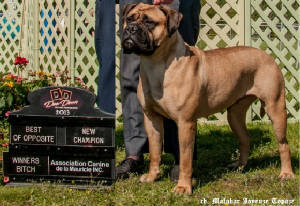 Malabar is a very small and selective Kennel, producing a limited amount of puppies, dedicated to breeding sound, healthy companion and show dogs. 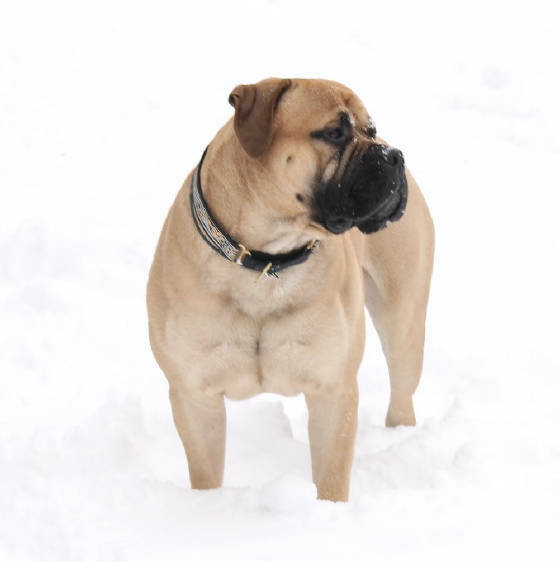 I always loved dogs, especially the bullmastiff. I was 18 years when I discovered that race. At that time this kind of dog was little known in Quebec. 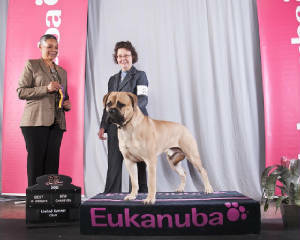 However I managed to get one, although it was not registered to the CKC. 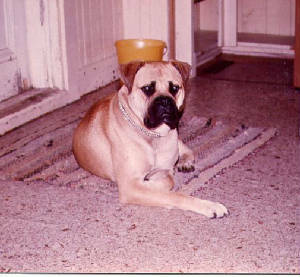 I kept it for 9 Years after which I tried to find another bullmastiff, registered this time. The female I found died the same year. I had to find another one, this time in British Columbia, from the Gurkha's Kennel. It was in 1990. A good dog is alway's full of promiser. 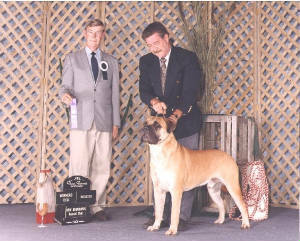 In 1991, my dog won it champion title and 1992, that of companion dog CD. 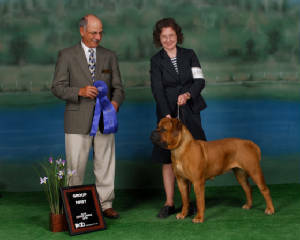 a few months later, my female breed with a male from Blazin's lineage. I had 8 puppies, and 5 would survived. I kept a male which I named Harley Malabar. In 1993, three new puppies added, two survived, one male and one female. 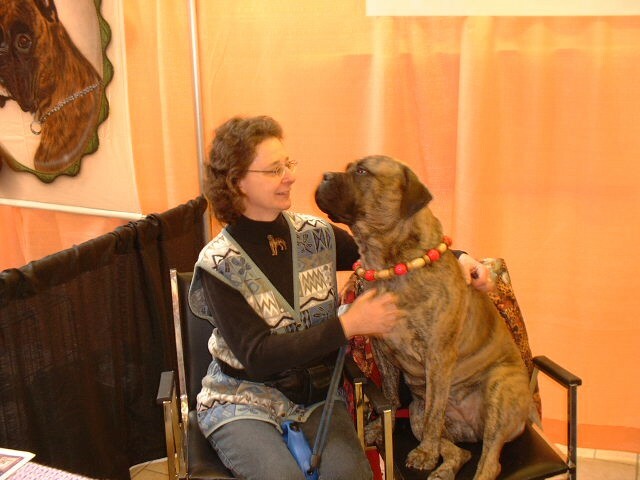 From then on, Kara remained my loved companion. She died at 10 ½ years. 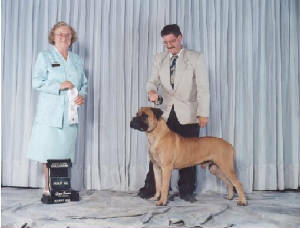 Dandy Gold Star was the son of Harley Malabar and Magnifique Beauté. It was a styled and elegant dog. 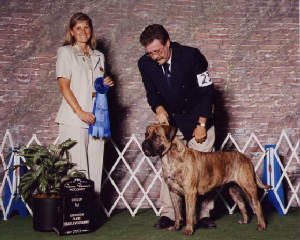 Awarded its championship in 2001. It ranked first at st-John's (N.B.) Booster. Unfortunately, it died in an accident only a few months before I go my female from Vancouver. 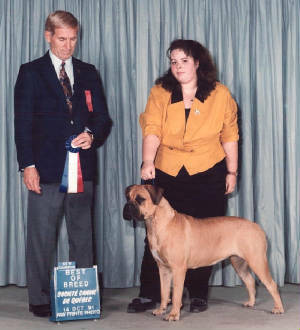 Daisy, my first bullmastiff, was a very nice female, although not registered to the ckc.